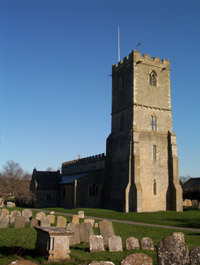 St Denys Church is situated in the centre of the village on Church Green, and is also accessible from Hunters Field via the Village Hall and Manor Green (view map). We are a church for the whole community and seek to make everybody welcome, whether you already count yourself as a Christian, or are just looking. We offer a variety of services that range from 1662 prayer book to very informal family worship and the occasional evening café church. You would be very welcome to join us at any of our services, or pop in for coffee and cake during Open House on a Saturday morning.